This article is a step by step breakdown about the notes section which also serves as the comments section. You can use this as an internal communication option for your staff on the respective reservations. By default, the system already enables this option. 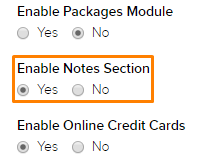 Here, make sure that setting is “Yes” under Enable Notes Section as shown in the picture below highlighted in orange. If it is not, select “Yes”. 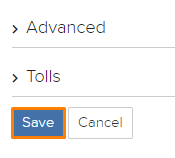 If the setting is not “Yes”, you would have to click on the blue “Save” button on the bottom of the page. Now in every reservation, at the bottom of the page, there is a section called comments as shown in the picture below. Here, you and your staff can communicate internally on the reservation or use it as a comment on that particular reservation. These comments can include if the customer has any special requests for their reservation.